These are in no particular order and some certainly have a theme to them, but I’d recommend anyone looking to pick up a new read try one of these! Whether you read by Kindle or prefer the classic paper between your fingertips, or even prefer the sounds of an audiobook; whether you read on a bus, in a plane, in a car, in the park….. reading is one of the most wonderful, rewarding treasures the world can offer us. There’s nothing quite like losing yourself in a book. Below the cut – my list of the top ten books I read this year. The Complete Persepolis by Marjane Satrapi — Talk about a book that stays with you. This piece of literature is written in comic strips, but tells a dark, deep story of Satrapi’s childhood in Tehran during the Islamic Revolution. Books have the ability to transport us to different worlds, I say; sometimes, that’s for us to escape, but sometimes, it’s important not to escape, but to open our minds and our worldviews. It’s so easy to ignore what else is happening, or has happened, in the world. Satrapi’s book will open your eyes, in a unique and creative way. Here’s my full review. Sorry, Not Sorry: Dreams, Mistakes and Growing Up by Naya Rivera — I’ve been of a fan of Rivera’s ever since the early days of “Glee,” so it was only natural that I’d pick up her autobiography. Filled with lots of little lessons she’s picked up along the way, it’s a good read that doesn’t harp on, but also doesn’t ignore, the mistakes she’s made. Rivera is open and honest and it’s incredibly refreshing. Check out my full review. Wild: From Lost to Found on the Pacific Crest Trail by Cheryl Strayed — I wanted to read this one for YEARS and finally 2016 gave me the opportunity to pick it up. I saw the film starring Reese Witherspoon years ago, and the book is, of course, more real. Cheryl’s story is an inspired one; sometimes I wish I could leave it all behind and go on a self-finding journey. I can only imagine how difficult it must have been for her, in so many ways. Here’s my full review. Enlightened Sexism: The Seductive Message That Feminism’s Work is Done by Susan J. Douglas — “Pfft, sexism doesn’t exist anymore!” Yeah, wouldn’t it be nice to believe that? Unfortunately, sexism is as rampant as ever in the world today, despite the fact that *checks calendar* yes, it’s 2016. This book is an important feminist read about the topic of sexism, and how feminism’s work is far from over. It focuses largely on media, which I found particularly interesting. Qualifying Times: Points of Change in U.S. Women’s Sport by Jaime Schultz — Feminism and sports: two of my favorite things! I wrote a full review of this one earlier in the year, but it’s certainly a good read to see how far we’ve come in women’s sports in the United States, but also to see, and consider, how far we still have to go. Feminist Fight Club: An Office Survival Manual for a Sexist Workplace by Jessica Bennett — I’m thankful that my day job workplace is *not* a sexist one, but some people aren’t so lucky. (And I certainly see traces of sexism everywhere I go in the sports world!) Either way, it’s an important work to read for both men and women alike. Claiming Ground by Laura Bell — This read sort of reminded me of “Wild,” aka book #3 on this list. I admire these women so much for doing what I don’t think I ever could. I don’t think I could ever give up my life as I know it right now to start fresh and have such an adventure, like Bell does when she leaves Kentucky to herd sheet in Wyoming. A life of solitude cannot be an easy one for most, and reading her tales of searching for her place in the world while carving out this whole new life for herself was inspirational, breathtaking, heartbreaking and incredible. 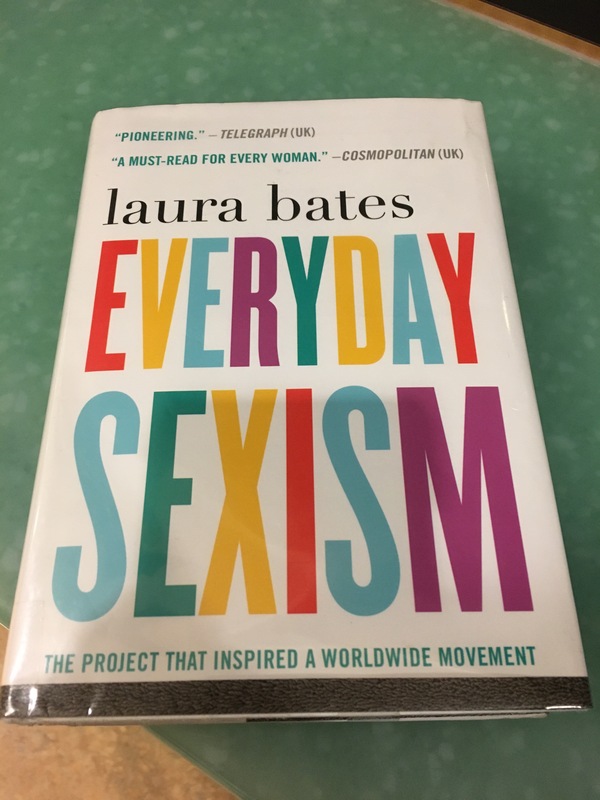 Everyday Sexism by Laura Bates — Please. read. this. book. EVERYONE. Yes, I’m talking to you. Six Women of Salem: The Untold Story of the Accused and Their Accusers in the Salem Witch Trials by Marilynne K. Roach — This was by far not my favorite book of 2016, but I feel compelled to put it on this list. I actually purchased it in Salem, while visiting briefly on my honeymoon. I don’t think it’s the best or most interesting book on the subject of the witch trials, and I’d like to read more, but it’s different. Rather than just focused on those accused of witchcraft, the book also takes a look at some of the accusers as well, bringing into view a wider historical perspective of that time. Here’s my full review. Wonder Women: 25 Innovators, Inventors and Trailblazers Who Changed History by Sam Maggs — Here’s my full review, but really, this was such a great read. It was filled to the brim with short tales of historic women who made a difference in the world. Whether inventing medical cures or finding new and better ways to do things, setting the paths for future women to come…. these women all did amazing things. The best part? This book discusses a diverse community of women, including transgender women, women of color, etc.